Photo caption: Patrick (volunteer gardener), Peter (gardener). 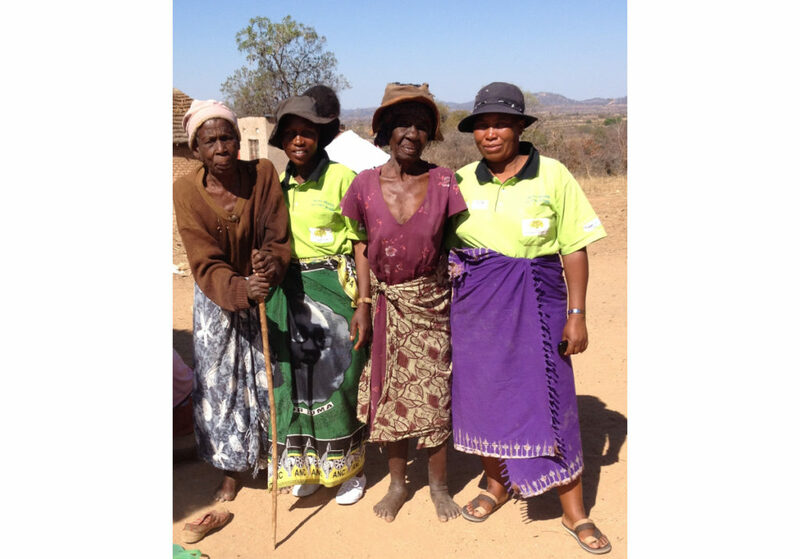 From left seated, Lydia (cleaner), Moira (administrative assistant), and Lenah, Mutare branch coordinator. 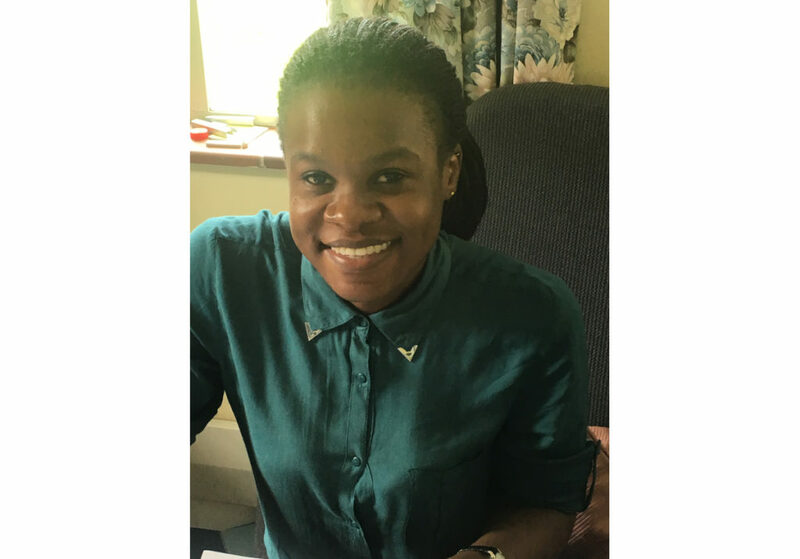 My name is Moira Leitao, and I am the administrative assistant at Island Hospice and Healthcare Mutare branch. I always wanted to do volunteer work but raising 3 children I never got around to it. In 2012 I joined Island as the administrative assistant. I had always wanted to get involved with hospice as a charitable organization as I wanted to help. I am responsible for all the administration here at Island Mutare branch. I work with Lenah the branch coordinator and support filing, capturing data, welcoming patients and supporting fundraising including the fairs which we have three times a year. I am the chair of the fundraising committee. This is a group of volunteers who support fundraising efforts. 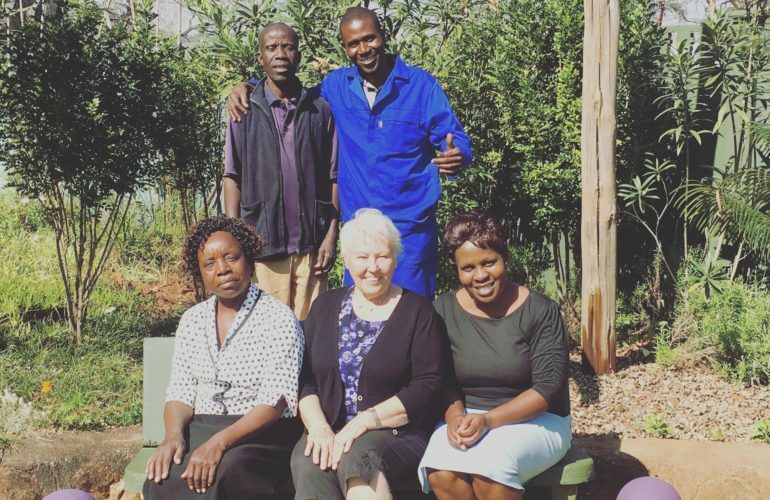 I work with Lenah, our branch coordinator; Esther, our nurse; Neville our intern social worker; Lydia our cleaner and Peter, our gardener. I also work with a lot of volunteers who support many functions here including gardening, the charity shop and reception cover. My colleagues are easy to get on with and it’s a happy place to work. Out of all our values, integrity speaks to me the most because its important to be trustworthy in the work that we do. For patients you need to care for those that come and see us. Compassion for patients is important. Why do I love to work here? I love the garden, it’s a place where you can just relax and breath out. I like to work here because of what it stands for – caring for those who have just been told that they have a life-threatening illness. Over the past 6 months we have worked hard to improve services at our branch. In the past we could only support a small number of patients. We now have a roadside clinic, and we see more patients here at Island Mutare. In terms of the look and feel of the branch the interior and garden has improved. I am keen on growing the social enterprise aspect for sustainability of our programmes. We have over the past few months been able to transform a space for a conference and training room. We plan to rent this out to other NGOs and corporates and all funds raised will be used for our programmes. I played a big role in making this happen and it was extremely satisfying to be a part of this growth. 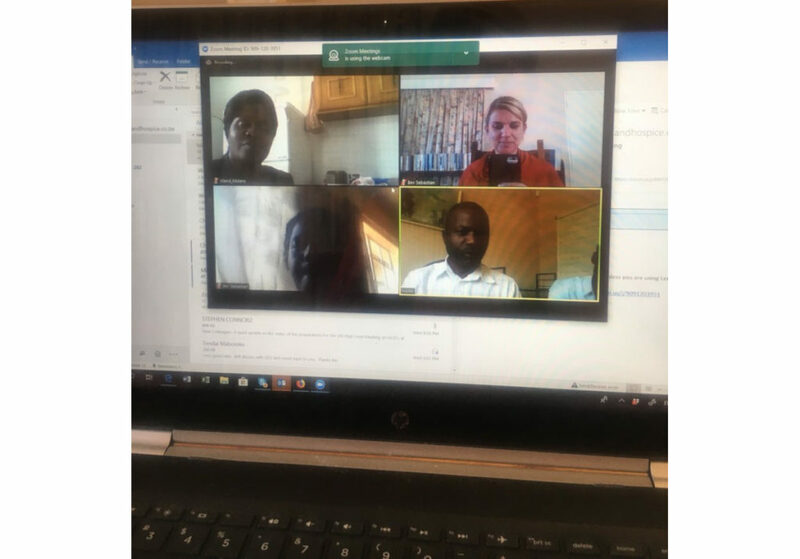 I hope to one day grow the space at our premises so that we can let out offices for rent and use the funds to support our work with patients and their families. What advice would I give to someone like me interested in joining a hospice and palliative care organization? You may have the skills but you have to have the heart because the heart is not only in hospice but it is in caring, helping and supporting those that need us the most.